Slow Cooker Orange Glazed Carrots make the perfect easy side dish for Thanksgiving or Christmas. Best of all, cooks entirely in your crock-pot and frees up your oven. An easy set and forget recipe! When life gets busy, easy slow cooker dishes are perfect for saving the day. I posted these Slow Cooker Orange Ginger Glazed Carrots during the holidays over on the KitchenAid blog where I am a regular contributor and thought I’d share them over here. You know, just in case life’s been busy and you’re looking for some easy side dish ideas too. The best part about any meal for me, is loading up on the side dishes. Brussels Sprouts, Mashed Sweet Potatoes – I can never decide on just one. That’s why I love making a bunch so there are a variety of options to choose from. 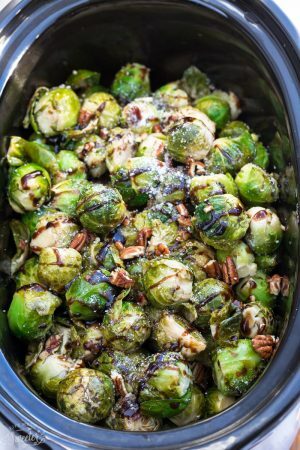 Making them in the slow cooker helps to free up some oven space and as well as ease some of the stress from prepping multiple recipes. They are super simple and easy to prep in advance. Just slice them up and toss them into your slow cooker along with the sweet and sticky glaze. 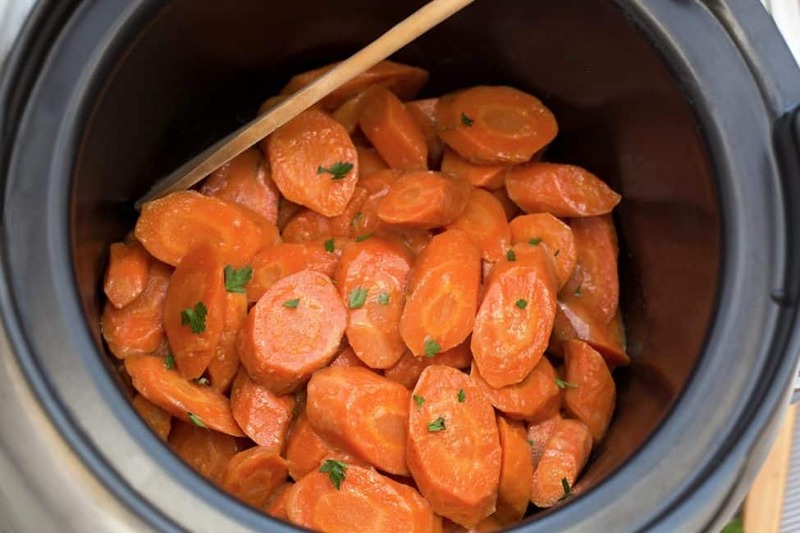 These Slow Cooker Orange Glazed Carrots get soft and tender after a few hours and are infused with a sweet and flavorful orange, ginger and honey glaze. To see the rest of the side dishes I shared on the KitchenAid blog, you can check them out HERE! Make the glaze ahead of time and store in an airtight container in the fridge. 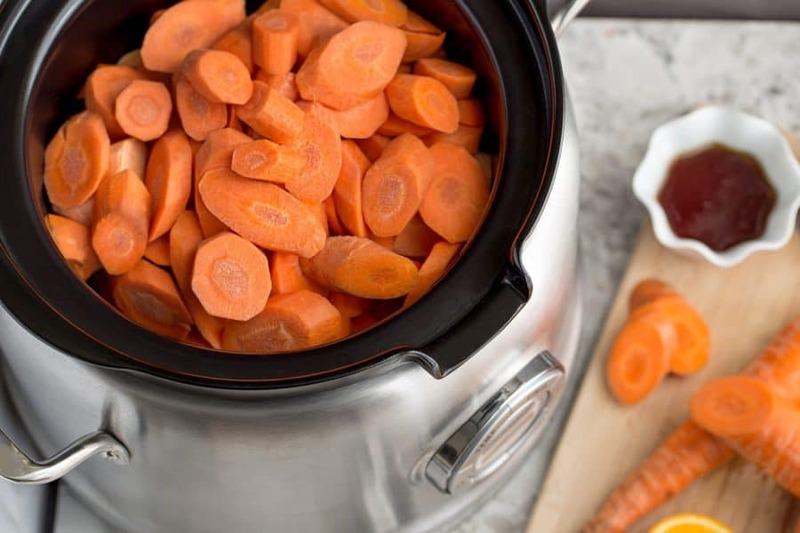 Slow Cooker Orange Glazed Carrots make the perfect easy side. Best of all, frees up your oven and an easy set and forget recipe! Add the melted coconut oil, honey, orange juice, orange zest, ginger, and salt to your slow cooker and whisk to combine. Stir in the carrots and toss to coat well. Cover and cook on low for 4-6 hours OR high for 2-3 hours, or until carrots are tender, stirring once halfway through. OPTIONALTo thicken up glaze, stir in the cornstarch slurry about 20-30 minutes before serving. Cook on HIGH for 20-30 minutes, or until thickened. 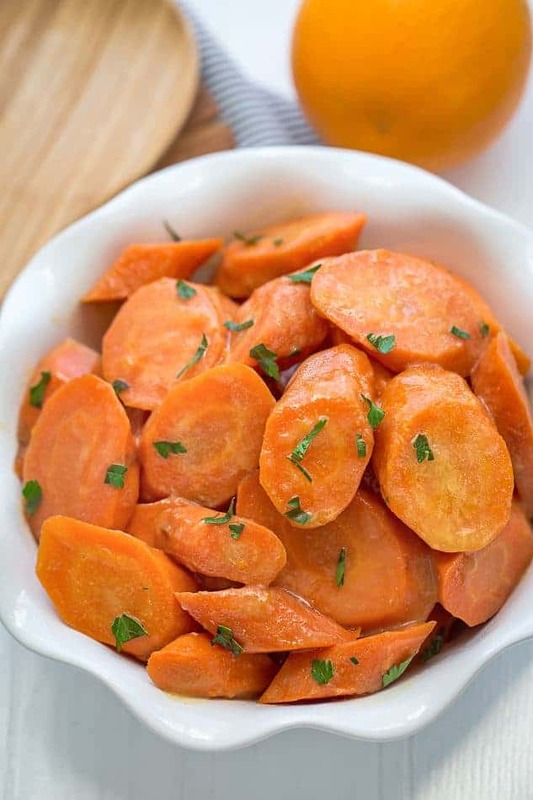 Remove the carrots, using a slotted spoon, and place in a serving bowl. Garnish with fresh parsley and serve warm.